5 minute walk from Vauxhall tube and national rail station. We cater all type of occasions and celebrations up to 300 people. Our food at Mumbai Delight promises to deliver authentic Indian cuisine, as we skip from the use of artificial colours and flavors. We focus on being Green by use of only natural ingredients mixed with chef’s passion, grilled in with impeccable service, and garnished with a lot of care. Mumbai Delight is located amidst style and oomph of Vauxhall, and is buzzed with energy and comfortably full with satisfied patrons.The quality of food and the generosity of the staff, along with dining experiences are very promising. 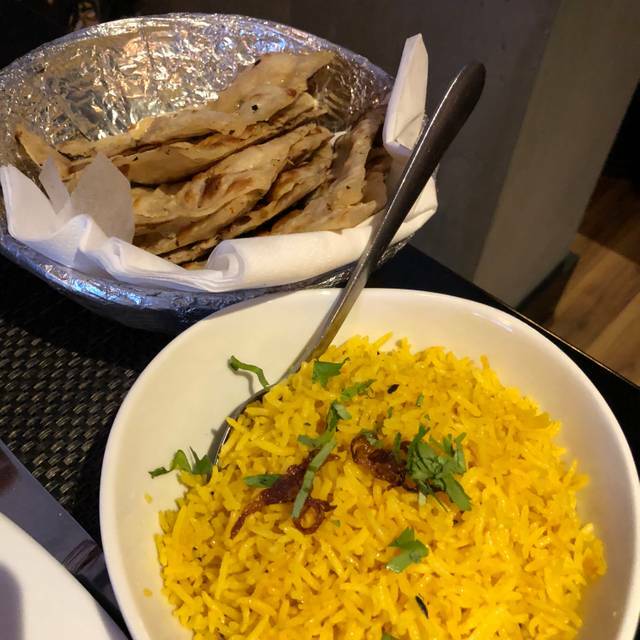 A visit to Mumbai Delight will certainly be an experience to remember, and you would always bring your appetite and camera to the restaurant.The quest for culinary exuberance and customer delight would ensure your visit to us. Mumbai 's version of the famous chickpea curry of India - Super scrumptious! Always good and was again. Friendly service, tasty authentic food. Service is nothing to write home about but no problems either. Changed the menu a little since we were there last - good. Repas entre amis. Très bonne cuisine indienne. Bonnes indications relatives à la force des plats. Went to dinner with my family (there were 5 of us) and the experience was great. Attentive waiting staff and all our dishes were brought out in good time, apart from one but this was explained by the waitress and didn't cause any issues! Food was amazing and was just the right amount. As always it is excellent food run by just 3 people out front who do their best even when very busy to ensure you are dealt with quickly. Such a treat to have on the doorstep. Booked for seven of us as a bunch of men enjoying a beer and a curry. 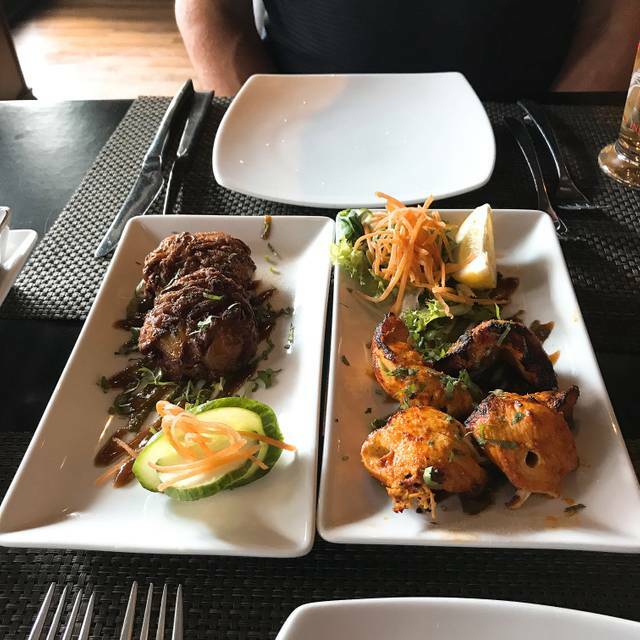 Huge menu and great tasting food - you can taste the fresh ingredients and would put throw above any ‘standard’ curry house. One of us is a vegetarian and lots of options to choose from. I haven 't been there for a while, but it was as excellent as I remember it being. Delightful Christmas work party at Mumbai Delight. Ajay was very helpful in organising and accommodating for a very large group. Generous portions and delicious food. 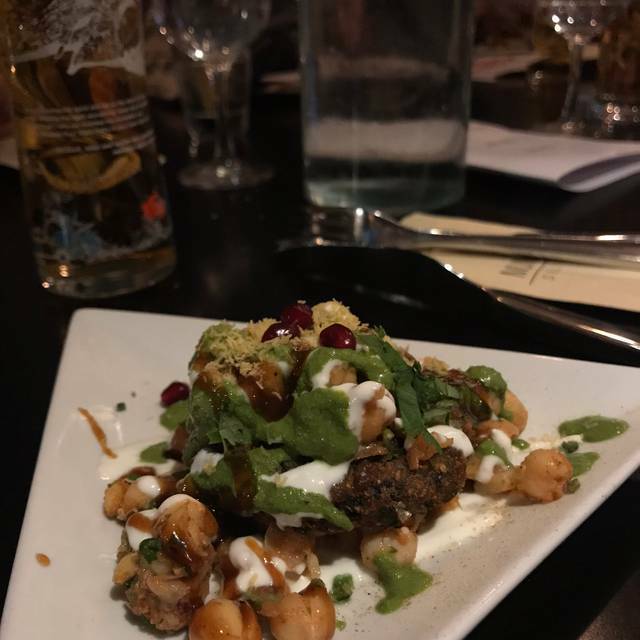 Chicken tikka and aloo chaat starters were particular favourites. Thanks for a great evening! I went with 4 girl friends at the start of a weekend in London! This restaurant came up on a search as being within walking distance of where we were staying and had god reviews so we thought we Woolley give it a try! It was not rally somewhere we would have passed when just wandering around tourist areas and we may not even have decided to go in if we had passed it, as it didnt look special from the outside BUT we had an amazing meal. 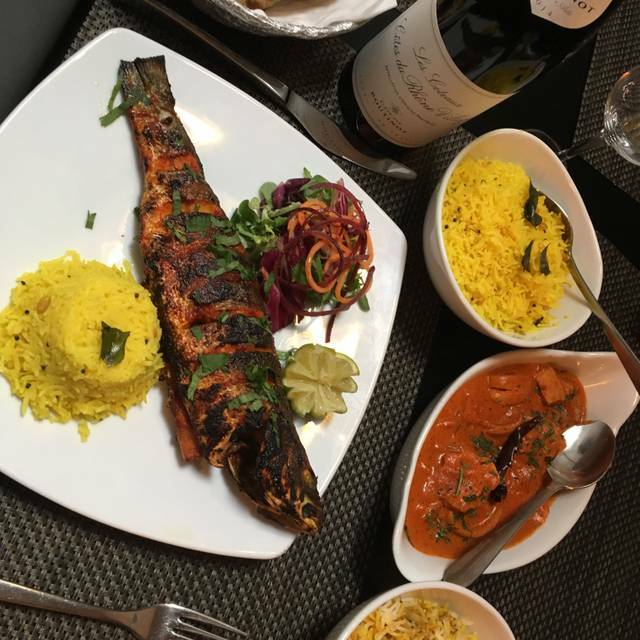 The menu was varid, not just the usual curry house fare, the wine was reasonably priced and the service was a lovely balance of being attentive without making us feel hassled or rushed! I would definitely recommend this if you are in theVauxhall/Lambeth area! Very busy, so naturally the food took longer to come out. The food was very tasty & authentic! Food was good but service was terribly slow. It took a full hour to get our starters and another thirty minutes to get our mains. Food was tasty but nothing to write home about. An excellent meal for a group of 10 of us. We'd prebooked and the table was available immediately when we arrived. Service was friendly and swift, food was tasty and meal was reasonably priced. Visiting London and had picked this restaurant after looking at Trip Advisor reviews and also it was in the area we were staying. We were not disappointed. We had our table booked for 7 pm and initially were the only three in the restaurant but it very quickly filled up. The service was good, the food very good, in the starters and mains. I thought the price was reasonable for London prices. Overall a great meal out and would definitely return and recommend to others . 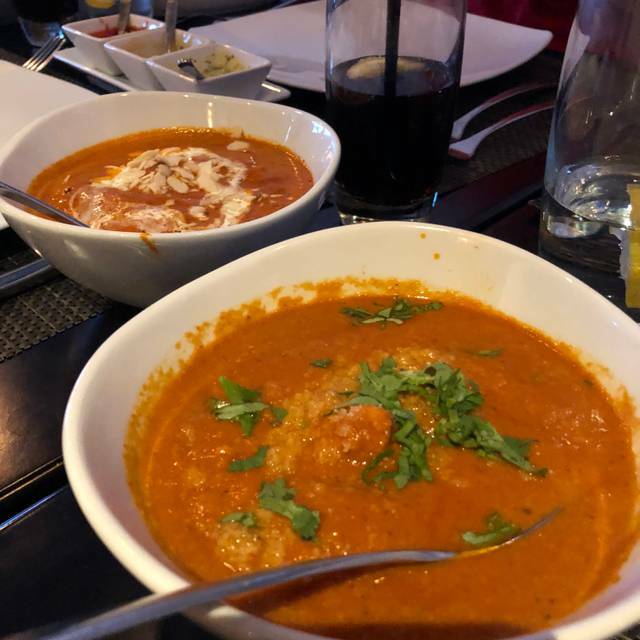 Really enjoyed our meals at Mumbai Delight, they were very accommodating to one of our allergies and made sure we were looked after very well. Food was delicious. Would recommend for sure. loved the food and the ambience was good. Popular local Indian restaurant with great tasty food. The food was perfectly ok, nothing special and certainly not authentic. The service however was appalling slow, having to wait 45 minutes for a bill is not acceptable, particularly when asking numerous times. Poppadoms came with the starters and then finally the drinks came. But as I say, the food was tasty enough. I went on a date here after reading a good review. My date hadn't had Indian before and he loved it. The waiter Chris really went that extra mile for us and didn't rush us even when it was past closing time. Stunning service. Thanks, this was my 10th visit. It was great to be there as always. Consistently good curry with a nice atmosphere. All dishes taste authentic and are cooked well, and you always receive a good welcome. Such a lovely evening! Great flavours!! The owner/chef/waiter was extremely helpful to this family of 5 from the States. Food was plentiful & extremely tasty. We were in London for just 24 hours and looking for great Indian food. We found it! Don’t let the out-of-the-way location dissuade you; this is a GREAT restaurant. The delicacy of the spicing and flavour balance was first class, and the service was gracious, warm, and friendly. On our last night in London, we were looking for Indian food close to our hotel. Mumbai Delight fit the bill. It was delicious. Each dish was packed with fragrant spices and flavorful punch. The onion bhaji was among the best I’ve had. The service was friendly and attentive, but not intrusive. Very friendly staff. Service was a little slow - asked for two glasses of water three times before it arrived at the end of the meal! Food was nice but could have been slightly more interesting in taste. The food as delicious, specially the prawns. I round the Price a little bit high. Very cosy restaurant. Had a great time with my famiky. Food was great other than the poppadums which didnot taste fresh. It seemed as though they were fried in very old oil. 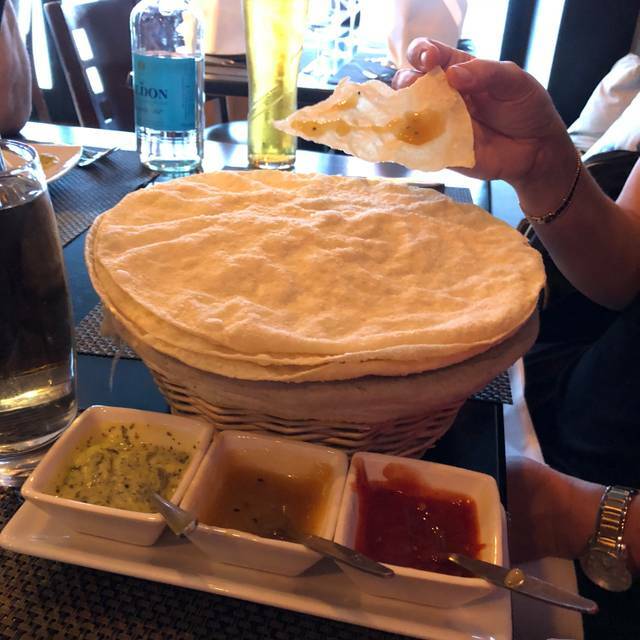 Portion sizes were very small and felt we had to keep ordering extra. Staff were pleasant but found them frustrating as they wont clear the table quick enough. I went here on Saturday for mums birthday. The food was between reasonable and good depending on what was ordered. I felt it was a little bit over priced but actually given quality of friendly service didn't mind so much. I would return if I lived locally. Nice restaurant with good food. Friendly staff. The menu had a good selection. Nice food. We turned up earlier than booking due to cold weather and they fitted us in. Meal was a bit cost a bit more than I would usually pay for Indian meal. But food was good. We visited on a very busy Saturday evening. The service was very good and we really enjoyed our meal. 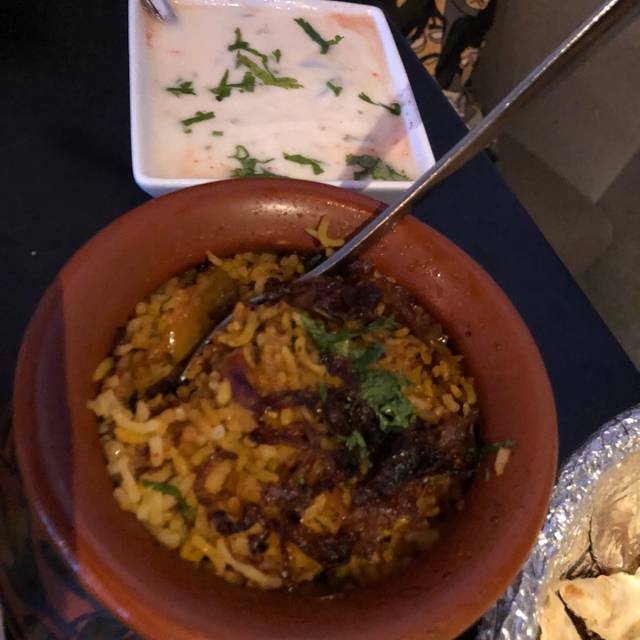 We do not like spicy hot Indian food and we were able to find several dishes that were to our liking and very flavorful. We found this restaurant through an on line search. We were staying overnight in Westminster and reports recommended the food. It is only a small restaurant with friendly staff. But the meal was quality. Highly recommended! No strangers to this restaurant, we arrived almost an hour before our booking and the place was extremely busy. The staff were unfazed and we had drinks and then were seated. I felt a bit guilty and putting them out but they were charming and helpful as ever. The food was of a high standard and beautifully served. Always worth a visit! Really lovely dinner - for Indian food in London, it was actually quite well done and not greasy at all. Had a full complement of allergy-free menus as well (Celiac's and nut allergies were issues for our party and could be easily accommodated). The chef was especially attentive and courteous. This restaurant coped very efficiently with a group of eight of us late at night. The welcome was charming and the food very good. There is a limited choice of wine but the less expensive wine which we had was very palatable. At around £25 a head including service charge this is good value.